Content marketing has played a huge role for businesses to bring in new customers and prospects through engaging quality content. If you can woo prospects with high quality, engaging, and most importantly, helpful content, you put yourself in the best position to generate new customers. While content marketing takes more time and effort to get right, it certainly is worth it as conversion rates are nearly 6x higher for content marketing adopters than non-adopters. One of the best content marketing assets over the years has been ebooks. For marketers, an ebook provides an opportunity to show off in-depth and quality insight into an area of expertise, build trust and credibility amongst their target audience, and most importantly, generate new leads. Marketers offer these ebooks for free in exchange for customer email or other information. Consumers clearly find these ebooks to be informative and useful and are willing to make that trade with marketers happily. So much so that according to ImpactBND, 80 percent of users said they’d provide their email for a white paper or an ebook. A whopping 38% of content marketer consider ebooks as their most critical tactic for content marketing and lead generation. However, creating these ebooks can be time-consuming and costly. Not only do you have to write the contents of the ebook, but you also have to design and format it in a way that is visually appealing and engaging. Only then would your audience want to download and read it. Thus, in order to create an ebook that does its job (generate new leads) perfectly, you need to have your writers, editors as well as designers work together, brainstorm ideas, and collaborate effectively. In this post, we are going to show you how you can have your writers, editors, and designers work together to create the best possible ebook, in the most cost-efficient way. Let us first learn the basics of writing an effective ebook. 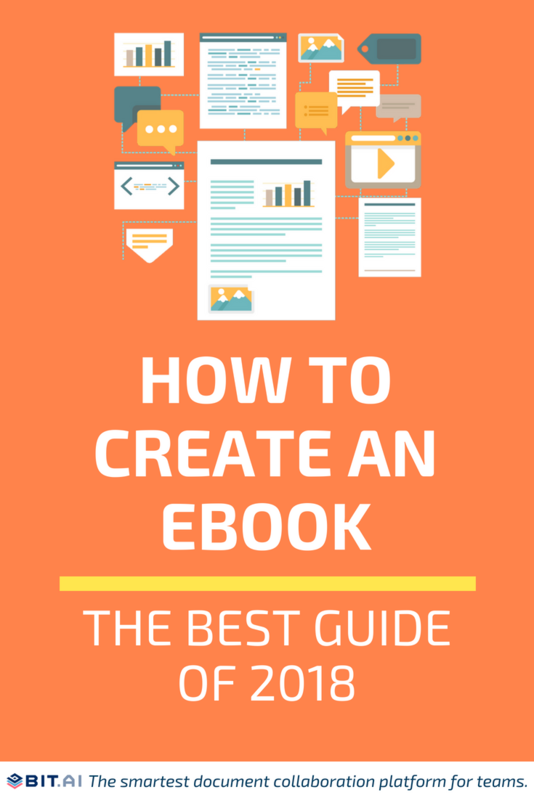 HOW TO CREATE AN EBOOK IN THE BEST POSSIBLE WAY! The most crucial step in creating an ebook is to determine what the ebook will be about. The goal of an ebook is to help generate new leads for your business. Which means that after reading your ebook, your audience should be convinced that you are the right person/company in the industry they would like to do business with. Thus, you have to pick a topic that will make it easy for prospects to go from downloading your ebook to having a potential meeting with your sales marketing or sales team. The topic of your ebook should not deviate much from other topics you cover in your blog posts or other marketing channels. A good way of choosing an ebook topic is to find out your top blog posts from the past and decide on diving deep into one of them. This allows you to cover a topic that the audience cares about while staying in line with your brand messaging. After you are done with the topic selection, the real work starts. Since an ebook lets you build credibility and trust, your audience expects you to deliver top-notch content, backed up by facts and statistics. You cannot deliver an in-depth ebook without fully researching the topic yourself. Conducting extensive marketing research is not an option – it’s a necessity. Get your team of content marketers and writers together and start researching different aspects of the ebook. Have a common workspace to share knowledge, research, feedback, and suggestions with one another in order to create the high-quality ebook. Once you have all the data you need and a plan in place, its time to write down that ebook. Get your content marketing team together and start writing the content. Even though ebooks are used by you to generate new leads, don’t get all ‘salesy’. Only when your readers will find the content to be useful and authentic, they would want to do business with you. Nobody wants a long piece of marketing brochure with your product mentioned in every paragraph! Step 4: Design it up! What sets your ebook apart from the thousands of other ones out there? A great design! According to Adobe, two-thirds of people would rather read something beautifully designed than something plain. No matter how well-written your content is, if your ebook looks bad, it won’t take much longer for your readers of getting distracted by something else. Thus, once you have written the content and have editors look into it for corrections and feedback, its time to bring the design wizards and pump up the ebook for visual glory. Make your ebook, as visually appealing and interactive as possible. Gone are the days of plain, boring ebooks with bland text and little to no images. An interactive ebook is the one that engages its user and encourages them to interact with its content, rather than passively consuming or skimming it. An interactive ebook contains all sorts of rich media- images, animation, videos, audio, files, graphs and charts, polls, GIFs, etc. Most marketers provide their eBook as a PDF. While this may be standard, PDFs have their fair share of limitations. Cannot be tracked: PDF’s make it difficult to know whether someone has opened your ebook, how much time they spent, how often they reviewed it, how far they scrolled, etc. as they cannot be tracked. Static: Since PDFs are static, you cannot add all the amazing rich media (GIFs, audio, videos, polls, etc.) that we talked about earlier. Say goodbye to your interactive ebook if you plan on converting it into a PDF. You have nothing to worry though, we have a secret bonus tip right around the corner for you! Step 5: Time for marketing! Once your ebook is ready, its time to get it out in the world. Know where the majority of your audience usually “hangs out” and promote your ebook there. You can share your ebook on social media, via email to your email subscribers, or have a dedicated landing page for it on your website. Now that you are ready to create your awesome ebook, we would like to chip in and help you create one quickly and easily. 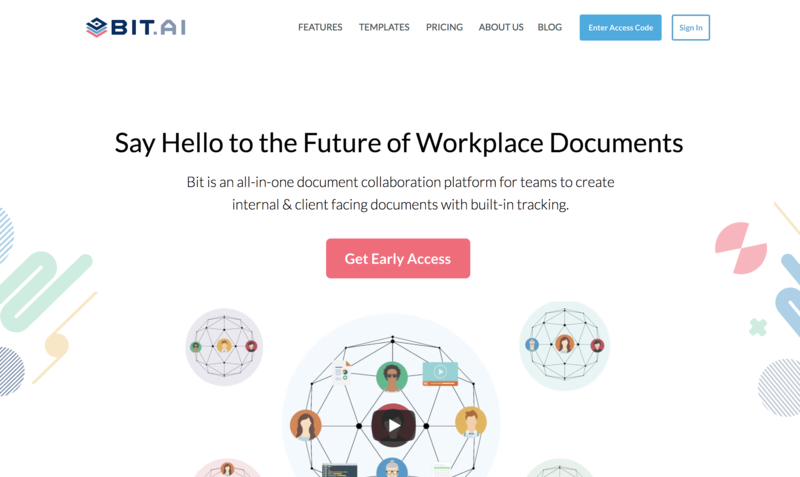 Bit is a new age cloud-based document collaboration tool that helps teams create, manage and track workplace documents. Yes, that includes ebooks! So how does Bit work? Bit documents come alive and help you share documents like ebooks that are more than just plain boring text. You can add rich media like YouTube videos, Google Docs, One Drive, Excel Spreadsheets, SlideShares, etc. Basically, anything on the internet with a link (i.e. https://example.com) can be shared and Bit will automatically turn it into visual content. With Bit, you can add code blocks, math equations, add files that can be downloaded by your audience, GIFs and more! You can collaborate in real-time with multiple team members as you fine tune your ebook. You can bring in your copywriters, editors, designers, creative heads, etc. all in one central workspace and work with their valuable feedback and suggestions. You can add comments to your document and they trigger real-time notifications bringing your audience to the exact spot in the document that needs to be discussed. You and your team will save valuable time collaborating together! Bit also has an automated table of contents based on the headers you add to your ebook. It’s a fast way to scroll to different sections of your ebook as a creator, collaborator and for your audience viewing the final published ebook! Once you’re satisfied with your ebook and are ready to share it, you can create a trackable link. Your trackable link once shared will provide you with information on how often it’s viewed, how far it was scrolled, how much time was spent on it, etc. Bit also gives you the ability to share multiple trackable links for every recipient or group you want to track. How to create an ebook with Bit.ai! 1. Get your writers, editors, and designers under one virtual roof! Creating an ebook takes far more time than writing a short form blog post. You have to research content, come up with an outline, add awesome visuals, and create an overall interactive experience for your users. Doing this amount of work alone can be pretty daunting and time-consuming. Thus, Bit allows you to work with your peers to get the ebook published as quickly as you can. Working in teams also allows you to brainstorm ideas together and get your content and design people together in a single workplace. Bit allows teams to collaborate together, give real-time feedback, suggest changes and get work done quicker. Most importantly, say goodbye to back and forth emails. 2. Best looking ebooks on the planet! In this digital age, you need more than just text to tell your story in a compelling manner. An ebook in PDF format is static and can only incorporate text and images. Since ebooks are long-form content, having to read so much text can be dull and ineffective. This is why we empower you to add any type of rich media content, like YouTube videos, Google Docs Spreadsheets, PDFs, presentations, Spotify playlists, SlideShares, GIFs, polls, and quizzes, etc. With Bit, you can create smart ebooks by incorporating hundreds of file types and making it dynamic and interactive, aka the best-looking ebooks on the planet! 3. Keep a check on them. Once you are done creating your ebook, you can send it to your prospects with a unique trackable link. You can then gather real-time insights to understand how users interact with your content, how much time they spent on it, how often they have returned to it and how far through the Bit ebook they scrolled, along with other great engagement metrics. Take that, PDF! 4. Capture leads like you’re supposed to. The purpose of creating and distributing ebooks is to generate new leads via the lead capture form. With Bit, you can attach a lead capture form to every ebook or any other workplace document you create. This allows you to collect your audience information (name, company, job title, email, phone number, etc.) before they view your Bit ebook. Since Bit ebooks are only available through a link and live in the cloud, they can’t be downloaded onto your PC like PDFs can be. When one user tries to share the document with another user, they will have to fill out their information prior to viewing the ebook. Bit allows content marketers, writers, editors, and designers to work together, collaborate, brainstorm ideas, and create the best looking internal as well as external documents quickly and easily. Since creating an ebook is no easy task- you have to research, write, design, and market it effectively to get the most out of it- we empower teams to get the work done in half the time and with more conviction. Have a great time crafting that ebook. If you need any help, let us know in the comments below.